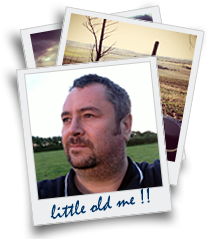 After a successful course that ran in 2010 and with much interest, Steve Hartley and crew have announced more dates for the Morse code training course. 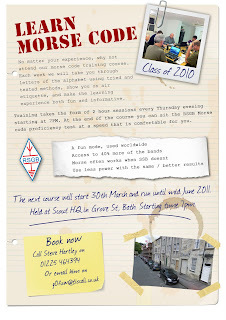 This year the Morse code course will run from March 30th until Mid June. At the end of the course candidates can sit the RSGB proficiency test at 5 words per minute or for the more adventurous higher speeds are available. 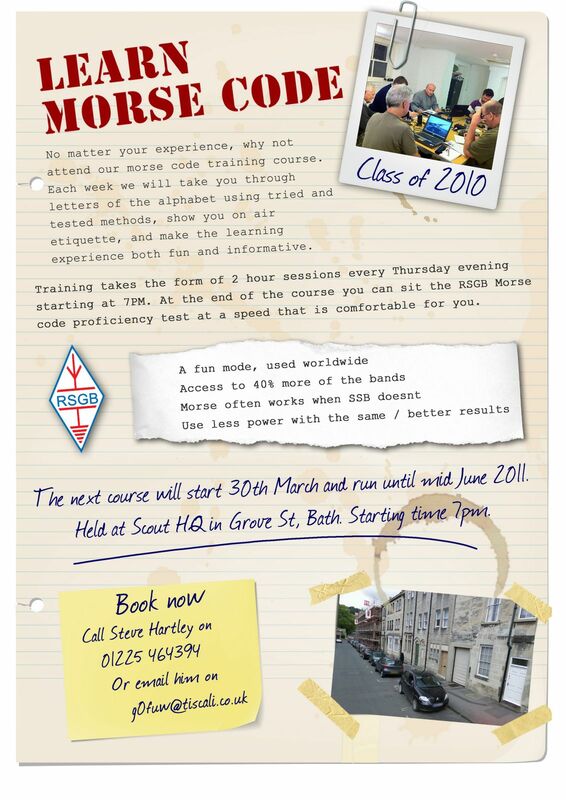 The lessons and test all take place at the Scout HQ in Bath. Each meeting is held on Thursday evenings at 7PM. For more information please download the poster, and if you feel others will be interested please distribute or print off for your clubs message board.